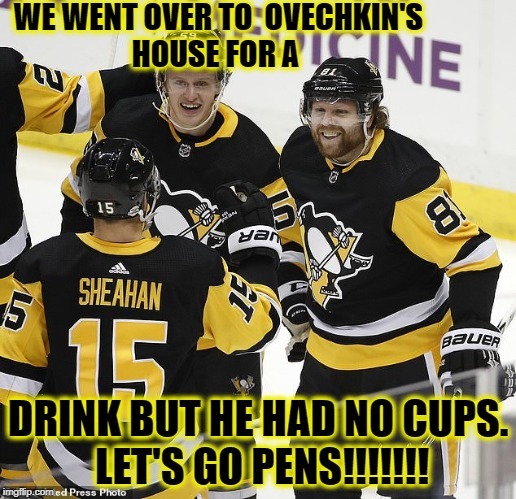 WE WENT OVER TO OVECHKIN'S HOUSE FOR A; DRINK BUT HE HAD NO CUPS. LET'S GO PENS!!!!!! !